Ahh, fast food – the delight too many Americans enjoy way too often. What’s the problem with a little fast food, you say? 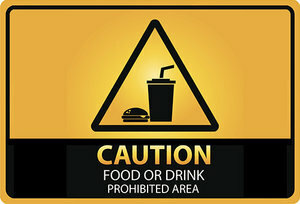 Nothing – but “too little” isn’t the operative phrase when it comes to fast food; it’s large portions, eating frequently, replacing nutrient-dense, sensible portions with empty-calories, saturated fat, sodium and sugar. Over time, all that can lead to an increased risk of every health challenge from diabetes to heart disease to cancer. But it gets even worse. Not only does fast food generally bad for you in the nutritional sense; it also may promote the presence of chemicals called phthalates. According to researchers at George Washington University, phthalates, which you’ll find in soap, makeup and a variety of other consumer products, are linked to a number of negative health outcomes. The study, published in Environmental Health Perspectives, analyzed dietary information from nearly 9,000 people and urine samples to correlate frequency of fast-food consumption with urine levels of three different chemicals. Participants who reported eating fast food in the previous 24 hours had much higher levels of two phthalates (DEHP and DiNP) than those who reported eating no fast food in the previous 24 hours. The more fast food consumed during that time period, the higher the increase in phthalates – as high as 24-39 percent higher for those consuming large amounts of fast food. We don’t know how phthalates impact the body yet, but increases research suggests they could be problematic. If nothing else, it’s another reason to ensure you eat less fast food as part of a healthy diet. Talk to your doctor for more tips on how to eat right.